paper askew studio: 2 Caardvarks 4 You! & A Toot! Two of my favorite challenge blogs have joined up. 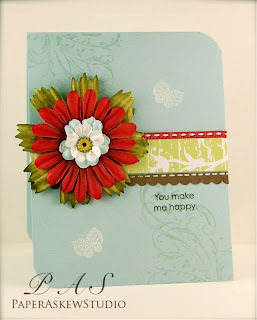 The challenge over at Caardvarks right now is to make two cards using sketches provided by Laura and Kazan from 2 Sketches 4 You. How awesome is that! Not only do you get two sketches to play with, Caardvarks is also choosing one person to be their guest designer for their August 20th challenge. Woo Hoo! Sounds like fun to me, so here are my two cards. The first is from Laura's sketch and the second is from Kazan's sketch. I used some scraps of paper and ribbon on the first card along with the rub-on sentiment & Soft Sky card stock from SU. the flowers and eyelet are from Eye-Lets Etc. 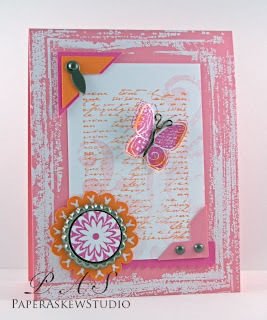 On my second card I used Whisper White, Pretty In Pink, Only Orange & Pink Passion SU card stock and hodge podge hardware. The images are all from the Fancy Pants stamp set "Bella Brush". I bought that set over at my favorite LSS, Scrapbook Destination,love that set! The bottle cap in the lower left hand corner embellished with the Bella Brush stamped image I also received from ELE ( they sell them at trade shows). The body of the butterfly is just a piece of wire I twisted and attached with glue dots. Now for the toot... I have made the Fall design team of 2 Sketches 4 You. Go check out their blog and see who else made the team. Everyone of these ladies are extremely talented artists from all parts of the world and I am SO honored to be in the same group with them. WOW! I am sure from previous posts you know how much I adore Laura and Kazan, so you know how much this means to me. Please don't anyone push me off of cloud 9, what an amazing month I have had. I feel so very blessed. None of it would mean so much if it wasn't for all of YOUR support, well wishes and comments. Thanks so much!! 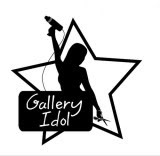 Tomorrow I will have my Paper Crafts Gallery Idol Round 3 card displayed after 12 noon MST when the voting begins once again. See ya later! Fantastic cards Pam! Congrats to you! woohoo!! you go girl! Congrats, Pam!! It is great to be your fellow DT member. Your cards are beautiful. Hi Pamela, love these two cards of you. You absolutely belong to the DT. I'm looking forward to your next card. 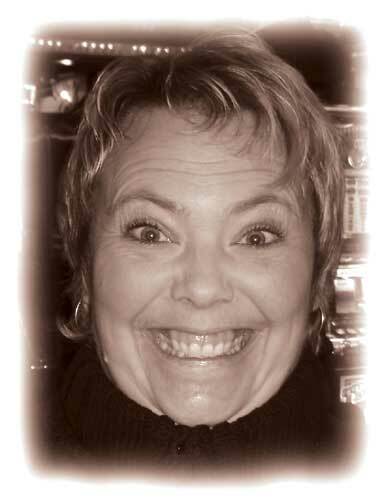 Your cards are really great, what an exciting honor to join the 2 Sketches 4 You team. Congrats!! Congrats to you Pam in making it as DT member at 2s4y. And good luck in round 3. Congrats to you, Pam! I'm so proud to be in the DT with you! Your cards are amazing! Hi Pam, these two cards are gorgeous. I'm looking forward working with you on the 2 Sketches 4 You during the next 3 months. Woohoo Pam!! Congrat's!! Well deserved!! 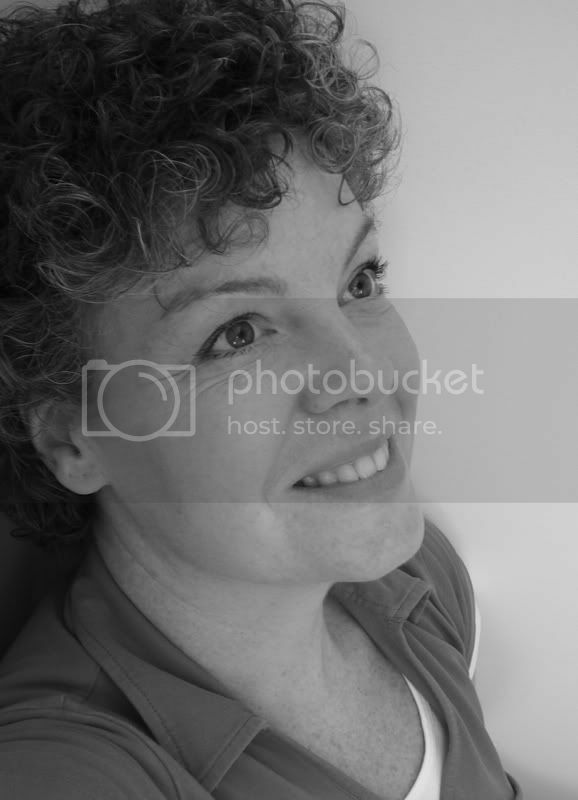 :) You make gorgeous creations! I can't wait to get to know you better! Oh.. and your deal.. ;) I'm good with it! hahaha!! So save me a spot on that Top 5! LOL!!! Fabulous sketch cards ... and a huge congrats for making the Fall DT ... very well deserved. I COULDNT JUMP OVER HERE QUICK ENOUGH TO CONGRATULATE YOU ON MAKING THE DT CALL FOR 2S4YOU!! WOWEE I AM SO PLEASED FOR YOU, YOU SOO DESERVE IT!!! WELL DONE HUN!!! Huge congrats to you for making the 2S4U DT!!! Wow, what amazing cards! You are so talented, Pam! Congrats! both of these cards are awesome!